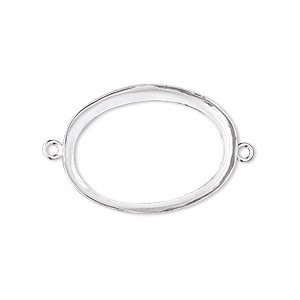 Link, fine silver, 19x14mm open-back oval with 18x13mm oval bezel cup setting. Sold individually. Item Number: H20-7253FX Have a question about this item? 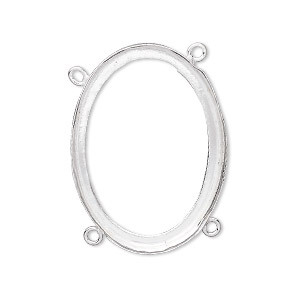 Open bezel cup oval link is made of 99.9% fine silver. Link can be burnished and reshaped for a smooth fit around cabochons as well as polymer clay, ICE Resin® and Apoxie® Sculpt. Link, fine silver, 19x14mm oval with open back and 18x13mm oval setting, 4 loops. Sold individually. 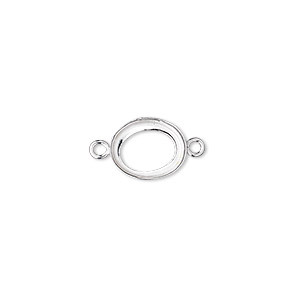 Link, fine silver, 26x19mm open-back oval with 25x18mm oval bezel cup setting. Sold individually. 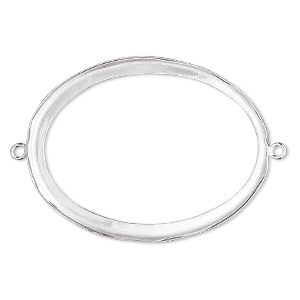 Link, fine silver, 31x23mm open-back oval with 30x22mm oval bezel cup setting. Sold individually. 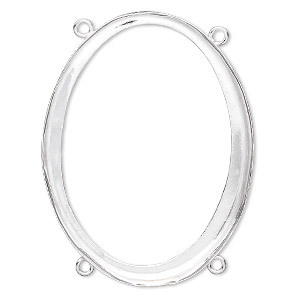 Link, fine silver, 41x31mm open-back oval with 40x30mm oval bezel cup setting. Sold individually. 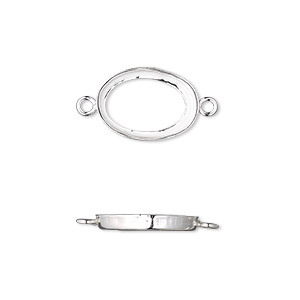 Link, fine silver, 31x23mm oval with open back and 30x22mm oval setting, 4 loops. Sold individually. 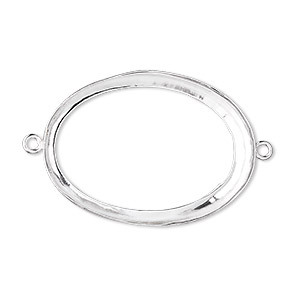 Link, fine silver, 41x31mm oval with open back and 40x30mm oval setting, 4 loops. Sold individually. 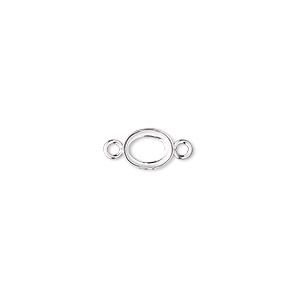 Link, fine silver, 26x19mm oval with open back and 25x18mm oval setting, 4 loops. Sold individually. 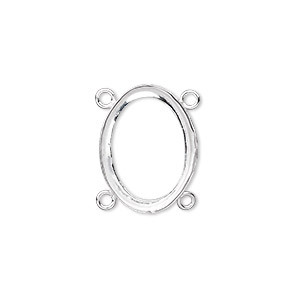 Link, fine silver, 11x9mm open-back oval with 10x8mm oval bezel cup setting. Sold per pkg of 2. 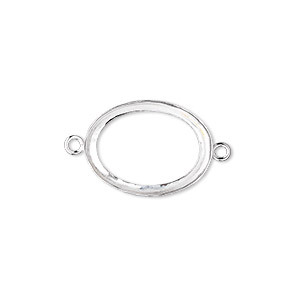 Link, fine silver, 15x11mm open-back oval with 14x10mm oval bezel cup setting. Sold per pkg of 2. 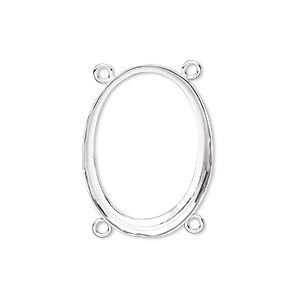 Link, fine silver, 7.5x6mm open-back oval with 7x5mm oval bezel cup setting. Sold per pkg of 4.